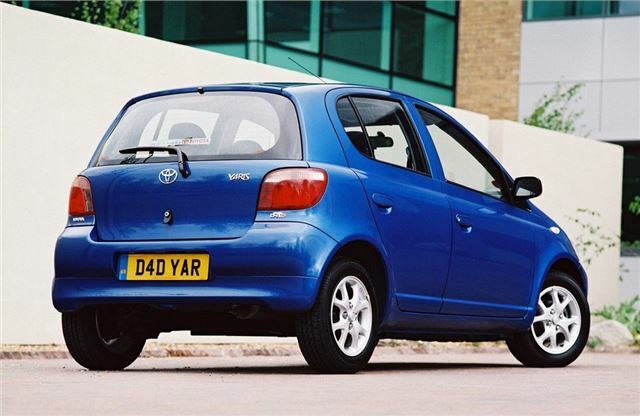 The best small car 1999-2005. Excellent seating position. Good range of engines. Decent to drive. Good, robust 4-speed autobox. Small boot with four passengers. Not as practical as Jazz. MM Semi-automatics best avoided. When I was a kid I had a teacher called Harry Hawler who boasted that his Morris Minor would do fifty miles to the gallon. But even that was too profligate for Harry, so he rode to school most days on a noddy bike. Harry would have loved the Toyota Yaris D-4D. He could have sold the noddy bike, stayed dry, and still got nearly seventy miles to the gallon. I'll make a very simple statement: The Toyota Yaris D-4D is a staggeringly good little car. I'm well aware that after winning the 2002 J.D. Power Customer Satisfaction Survey the Yaris needs no help from me. But I'm afraid I'm going to rave about it anyway. I have never driven another car that could happily tootle along at 80-90mph, nip past obstructive drivers in old-shape Merc CL500 coupes, and still take me 63 miles on a gallon of diesel. Even the radio got perfect AM reception on the fringes of LBC's transmission area. This is the sweetest, most economical little diesel your money can buy. The competition is, admittedly, stiff. VAG set the ball rolling with its 3-cylinder belt-cam 1.4TDI PD in the A2, Polo, Lupo and Arosa. PSA joined with Ford to produce a cracking 4-cylinder belt-cam 1.4HDI with eight or sixteen valves. Renault got in on the act with its ultra-economical 1.5D. 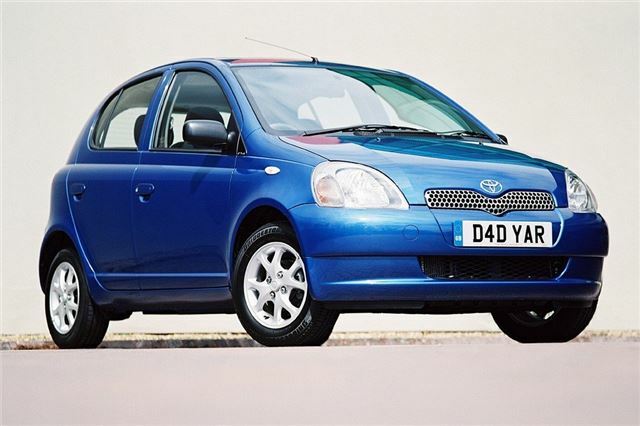 Then along came Toyota with an equally powerful, equally economical lightweight 4-cylinder chain-cam direct-injected diesel at a starter price that undercuts everyone else's with PAS, ABS and EBD all thrown in.